The Aix Cathedral, also known as the Cathédrale Saint-Sauveur d’Aix-en-Provence has its origin traced back to the 12th century. Its construction and reconstruction spanned through 7 centuries, from the 12th to the 19th century. The Aix Cathedral combines various architectural elements namely Baroque, Gothic, and Romanesque. The imposing cathedral is also a national monument and its location makes it play host to numerous amounts of visitors annually. 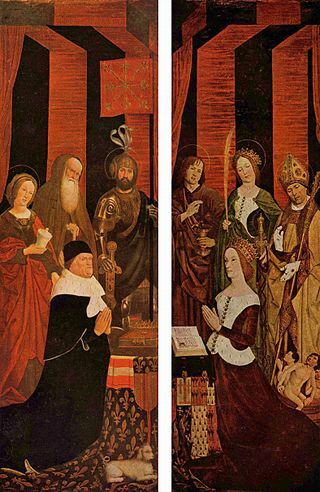 There are different legends surrounding the location of the church. The site has been considered to be sacred for thousands of years. 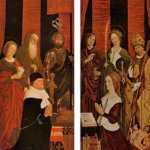 It was believed to be the location of a pre-Roman pagan temple, then a Roman temple before it became the site of a Christian church—which stands to this day. 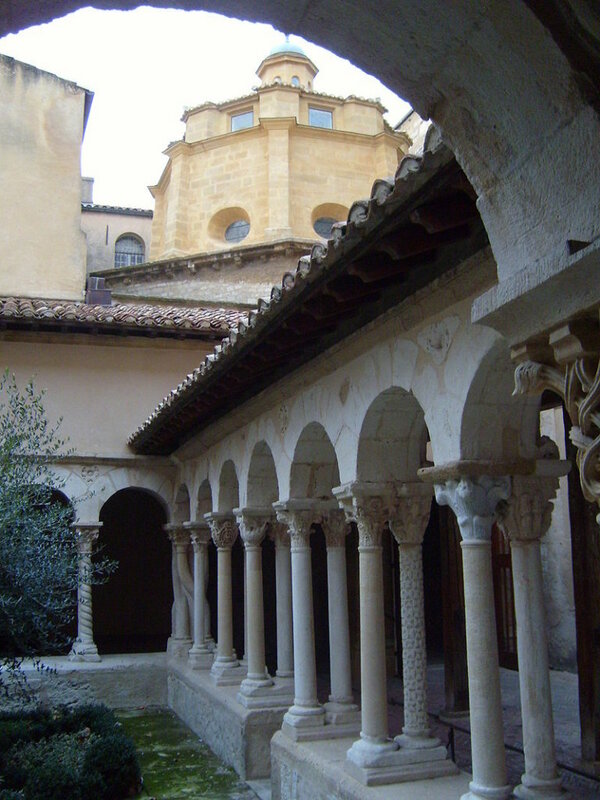 According to Christian tradition, the first church that was ever built on the site was by Saint Maximinus of Aix. Maximin erected a chapel on the site but it was destroyed during the Saracens invasions of the 8th and 9th centuries. 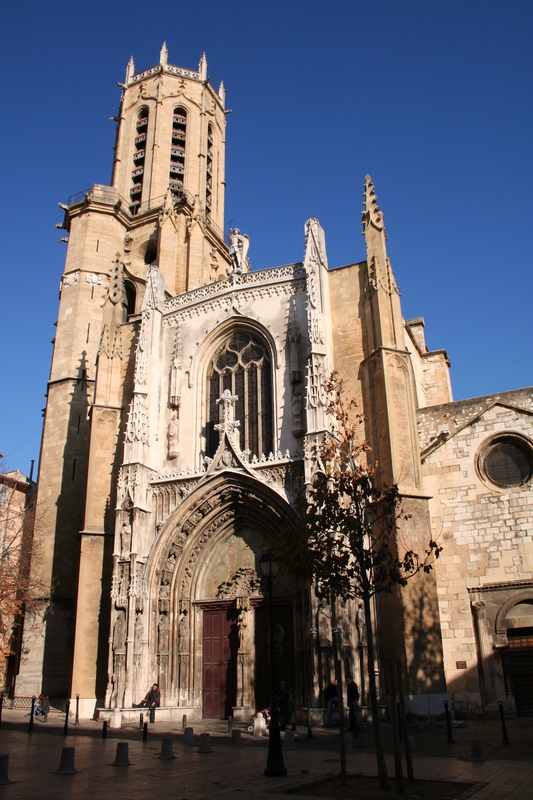 The construction of the cathedral drew attention and importance to Aix. More than once, the construction of the cathedral was interrupted for one reason or another – including plagues, wars, and finance. 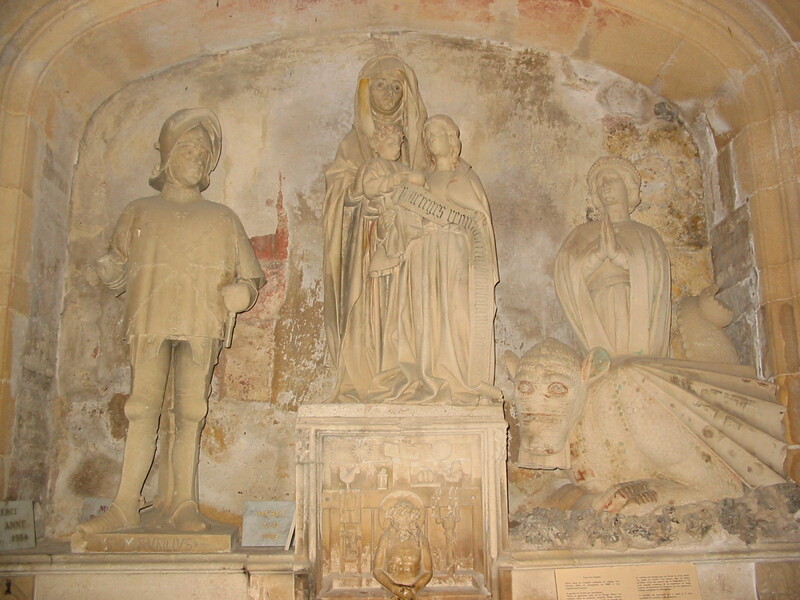 The last statues in the cathedral were installed in 1513, over 200 years after the first construction. Baroque: makes up the northern aisle. Added in the 17th century, the baroque in the north side aisle is one of the most recent additions to the Aix Cathedral. Gothic: this element makes up the dominant part of the cathedral. It was added in the 16th century. Roman: the eight antique columns and the baptistery are made with the Roman element. 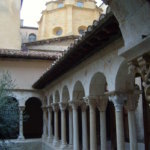 This occurred between the 5th and 6th century making it one of the first elements of the Aix Cathedral. 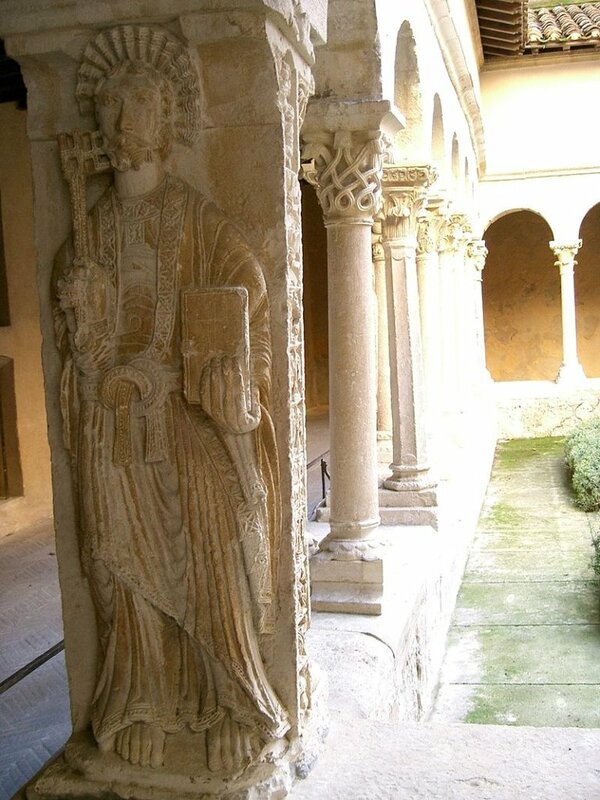 Romanesque:this makes up the south side aisle. This architectural style was dominant in the 11th and 12th centuries and it made. It is not surprising that it found its way into this magnificent edifice. The construction of the portal extended between 1476 and 1513. It stretches 46 meters and crafted predominantly of the Flamboyant Gothic style. The moment the nave was completed, interest shifted to the western façade. The doors carved out of walnut were installed and commissioned in 1505. On each side of the door, there are three statues representing the apostles. The statues of the remaining apostles are located in different parts of the building. The bell tower is 64 meters high. The works on the foundation of the tower started around 1323 but was later suspended for close to a century for different reasons. The work on the bell tower resumed in 1411 and took 14 years to be completed. It was not until 1430 that bells were placed in the octagonal tower. Normally, a typical Gothic cathedral is expected to have at least two towers. 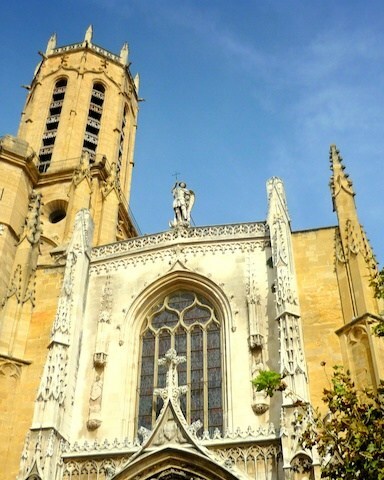 However, due to financial constraint, the Aix Cathedral has a single tower. Part restoration works were done on the bell tower in the 19th century. “Anne, the glorious mother of the Virgin Mary is venerated in this chapel. The nobleman Urbain Aygosi shows here the highest love. In the year of Our Lord 1470, the chapel is finished, by the grace of God, on January 28”. The features of this stone altar include a tabernacle bearing the figure of Christ with the caption, “Look, mortal, it is for you that such a victim is delivered”, a structure behind the altar with six figures, and an altar with a pseudo-tabernacle. The imposing artistic decorations are hard to be ignored. These sculptures and paintings were installed at different times. For example, the neo-Gothic decoration done by Revoil was included in the nave between 1857 and 1862. 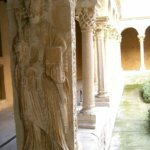 During the early years (1513) of the construction of the Aix Cathedral, a small organ was placed in the canonical choir, on a tribune. This organ was replaced by larger ones in 1612. The new green and gold organ which stands to the present day was placed in 1750.